The SASSA progress report dealt with the 1 April 2018 state of readiness, the change programme for insourcing grant payment functions, the South African Post Office (SAPO) progress and SASSA’s engagement with banks. The 70% of beneficiaries who receive their grants electronically or through shop merchants would be paid on 1 April through the SASSA PayMaster General (PMG) account. A successful pilot test of 100 000 beneficiaries who use the existing Grindrod Bank cards was conducted in March. However, Cash Paymaster Services (CPS) whose technology is used in the transfer to those Grindrod accounts, raised systemic risks to their system if SASSA was to upscale transfers to all 5.7 million on 1 April. SASSA is engaging CPS and the South African Reserve Bank (SARB) to address this concern so it does not impact on the payment of the beneficiaries. These 5.7 million beneficiaries would be migrated to the new SASSA/SAPO card in mid-April, if they did not choose to use personal bank accounts. The bids for the cash payment tender to pay 2.8 million beneficiaries (26%) who receive their grants in cash, closed on 12 March and the outcome would be announced on 4 May. A new service provider would be ready to pay cash grants from 1 July. CPS had applied to the Constitutional Court to declare that CPS is not prohibited to apply for the tender. The Court ruled that CPS could bid for the tender. SAPO was unsuccessful in its application to open holding and cash disbursement accounts. This would affect its costing and payment model. The card swop processes would be delayed by one month as equipment was not available. Pilot testing would be carried out in rural areas first to determine if the SAPO/SASSA system was working as well as to determine areas where learning could occur. On the contingency plan, SASSA had applied to Court to extend the contract of CPS so it could continue making the cash payments until September 2018. SAPO supported this phase-in phase-out approach. The Court decision has not yet been announced. If the extension was not granted, the R2.2 billion which would have been paid to CPS would be used to cover the costs of the contingency plan. An outline of the contingency plan was given but SASSA said it would only be finalised after the outcome of the meeting the Minister was currently having with the Inter-Ministerial Committee (IMC) and Cabinet. SASSA assured the Committee that it would be able to pay beneficiaries on 1 April. Members raised concerns on budgets and costing models, the transport of beneficiaries, security, the amount of deductions on grants, banks benefitting instead of state institutions and National Treasury not granting SAPO a licence to open a holding account. The Committee asked for assurance that beneficiaries would be paid on 1 April 2018. A report was requested on the multiple acting and seconded officials in SASSA and the Department. A meeting to clarify the SASSA contingency plan and the discrepancy in what the legal team told the Constitutional Court was also requested. The SASSA Regional Managers per province each reported on their readiness for 1 April. Overall, the regions stated that they were ready but were awaiting details of the contingency plan which would deal with their challenges. The biggest challenge for most of the regions was beneficiaries in rural areas that needed to collect cash payments. The Regional Managers said they had made efforts to work with SAPO as well as have public communication drives. The regions have been following the national framework to which they were aligned. The South African Social Security Agency (SASSA) Regional Executive Managers as well as head office officials and Department of Social Development (DSD) officials introduced themselves. The Chairperson said there was room in future for further interactions with the regional representatives as they had important knowledge of what was happening on the ground. She asked why the SASSA Executive Manager for Grants Administration was leading the team. Ms Dianne Dunkerley, SASSA Executive Manager for Grants Administration, explained that Ms Pearl Bhengu, SASSA CEO, and Ms Zodwa Mvulane, Project Manager for the Payment Project, were at a concurrent meeting with Cabinet and the Inter-Ministerial Committee (IMC) discussing the contingency plan and readiness related issues. The CEO requested that the Committee continue without her and if the Cabinet meeting ended early, she would attend the committee meeting. The Chairperson said that Ms Busisiwe Mahlobogoana, SASSA General Manager: Legal Services, had been invited to provide her expert legal knowledge on the transition process as well as legal support. The SASSA delegation would make a presentation to inform members about the state of readiness for D-Day and to see if provinces are ready to hit ground on the 1 April and how the mood on the ground is. Apologies were noted from the Minister, Ms Susan Shabangu, who was at the Cabinet meeting where she had to report on the SASSA matter. The Deputy Minister, Ms Bogopane-Zulu, was out of country. The Chairperson added that the Minister phoned before the meeting and said that these matters require Cabinet and Inter-Ministerial Committee (IMC) intervention therefore she will be involved in those processes and was unable to attend the meeting. The Minister communicated both in written form and verbally and wanted the Committee to know why she could not attend. Ms B Masango (DA) said she accepted the apologies and appreciated that the Deputy Minister had responded in writing. Ms Dianne Dunkerley, SASSA Executive Manager for Grants Administration, said the purpose of the presentation was to state the readiness for 1 April 2018, inform everyone on the SASSA change programme for insourcing grant payment functions, provide an update on the South African Post Office (SAPO) progress in the project plan and report on SASSA’s engagement with Banks. The methods SASSA is looking at adopting are: direct transfers to bank accounts of beneficiaries through the SASSA Paymaster General (PMG) account, biometric enrolment as well as alternative payments in the form of local economic development (LED) with cooperative banks and local village and township shops and reconciliations (grants payment control and monitoring). SASSA has successfully achieved direct transfers to commercial bank accounts including Easy Pay Everywhere (EPE) which started with the January payments cycle and has also conducted temporary direct transfers to SASSA branded payment cards (Grindrod Accounts). A successful test run of direct transfers to 100 000 000 of the total 5 776 924 million beneficiary Grindrod accounts was done for the March payment. This segment of beneficiaries will subsequently be migrated to the SASSA/SAPO card if they do not choose personal bank accounts. SASSA is in receipt of correspondence from CPS that the direct transfer to the Grindrod accounts (March test) would cause systemic risk if SASSA was to upscale transfers to all 5.7 million on 1 April. Engagement with the South African Reserve Bank (SARB) and CPS to address this concern is underway. Upon analysing the deductions file of the 727 434 policies, a number a multiple policies were identified as follows: 678 410 – 1 policy deduction, 23 925 – 2 policy deductions, 317 – 3 policy deductions, 8 – 4 policy deductions. The majority of the multiple policies were for the same beneficiary and different insurance companies, but a small number (496) were found with the same insurer and 3 351 policies for more than 10% of value of single grant have been identified, of which 16 are for more than 30%. SOCPEN enhancements to integrate with the Biometric Identity and Access Management Solution are in progress. 1 300 devices have been procured and the deployment of the infrastructure to SASSA local offices will be completed by 15 March 2018.Training of super users is scheduled to start on 13 March 2018 and be completed by 18 March 2018 with testing of the in-house biometric enrolment of beneficiaries scheduled to commence on 19 March 2018. Final Data Sets migration from CPS will be done under the auspices of the Information Regulator. Banks engaged are as follows: First National Bank, Standard Bank, Capitec, FINBOND, SASFIN, Grindrod, ABSA, NEDBANK, VBS Mutual Bank, Ubank Limited, Ithala Bank. SASSA, through Treasury and SARB, has engaged with banks for the development and provision of a Special Disbursement Account for social grant money. All banks engaged, except for Ubank, confirmed that the envisaged Low Cost Bank Product will not be ready for 1 April 2018 as it would take six to twelve months to develop and approve a low cost bank account. The banks said the costs of the product are likely to be higher if banks were to develop the product for SASSA and instead canvassed for their existing low cost / entry level bank accounts and bank infrastructure which can be activated in a short period of time. SASSA provided a file consisting of 10 819 063 records to Bankserv through National Treasury on 5 March 2018 for banks to validate information on the beneficiaries who have bank accounts which will assist in targeting these beneficiaries specifically. The Cooperative Banking Development Agency (CBDA) is willing to explore the use of the CFIs as a social grant payment channel as it is a fact that CFIs in their true nature are ambitious to grow as financial players in the country especially in the space of social grant payments. A meeting was convened with the nine CFIs which have been migrated to an electronic accounting system to establish their willingness to serve as a payment channel for social grants. Three of the nine are ready to be used with immediate effect while further engagement is required for the rest. This will continue within this financial year. CPS and Grindrod have embarked on an aggressive roll out of the current EPE account forcing SASSA to issue a circular confirming that no marketing of any product will take place at any SASSA office or pay point and to warn CPS staff to concentrate on functions for which they have contracts only – enrolment and payment. Anything else will be seen as a breach of contract. SASSA branded cards are only to be issued by CPS enrolment officers. Beneficiaries who choose to take the EPE account still have to complete the method of payment form and return this personally to SASSA for capturing on the system. The objective with the cash payment is to migrate the 2.5 million beneficiaries who are using SASSA’s card for cash payment to a new cash payment card to access their money at SASSA cash pay-points. Bid15/17.SP/HO was advertised and a briefing session held on 24 February 2018, the Bid was due to close on 28 February 2018 but was extended until 7 March and a further extension request was received from G4S and the final closing date was 12 March 2018. SASSA received a further request to extend until 30 March which will not be entertained. Tight time frames are set and the awarding and contracting will be completed by 4 May 2018. A new service provider would be afforded an opportunity to set up and be ready to pay grants from 1 July 2018. As part of the phase-in, SASSA applied to Court on 8 February 2018 for CPS to continue to administer and pay cash up until September 2018. SAPO supported the phase-in phase-out application. On 6 March ConCourt reserved judgment on the SASSA application. On 9 March ConCourt issued a court directive for SASSA and SAPO to file affidavits on 12 March explaining why information was withheld from the Court (as Senior Counsel indicated there is no contingency plan while in the media briefing a contingency plan was announced). SAPO branches currently have 5 000 counters that are classified as ‘ATMs’ and provide a banking experience to its customers. In relation to SASSA pay-points, SAPO’s footprint detail is as follows: 53.5% of the branches are within a 5 km radius, 17.6% are between 5 and 10 km, 20.9% between 10 and 20 km and 8% are outside the 20 km radius. SASSA and SAPO signed a Service Agreement on 8 December 2017. In terms of the Agreement, SAPO will provide the following services to SASSA for a period of 5 years: electronic banking services, through a corporate holding account and special disbursement accounts for beneficiaries, on-boarding of new beneficiaries through instant account opening and card issuance at SASSA local offices, biometric authentication of beneficiaries and development of software, in conjunction with other state entities. The January 2018 application to National Treasury as stipulated in the Public Finance Management Act (PFMA) for SAPO to open the SASSA Holding Account and Cash Disbursement Account was unsuccessful (05/03/18) due to the status of Postbank which is not a bank registered in South Africa. The consequences of the Treasury decision changes the SASSA payment model (special disbursement accounts were going to be linked to the holding accounts) and therefore the costing model by SAPO has to change since it was based on the current service agreement and pricing is based on a fully pre-funded model. The Cash Disbursement Account will be opened with another bank (bank of the cash payment contractor) but SAPO in its current financial state may not be in a position to ‘buy’ such volumes of cash and will not be able to proceed with the current contract without the pre-funding of cash payments expected to be made at SAPO branches. The recommendation by SAPO as a result of the Treasury decision is that Treasury agrees to pre-fund the expected value of cash payments to be made at SAPO branches to SAPO at least 36 hours before the payment date and that SASSA and Treasury assist SAPO/Postbank with the development of the necessary cash payment prediction solution to be able to forecast the demand for cash at each SAPO branch. Treasury, SASSA and SAPO must also agree and develop the reconciliation process to reconcile the pre-funding. The costing model by SAPO has to change since it was based on the specifications provided by SASSA and lastly the Cash Disbursement Account will be opened with another bank (bank of the cash payment contractor). The Special Disbursement Account product has been completed and individual accounts are ready to be opened (however, these will not be linked to a holding account). The bulk account opening with a sample of a 1 000 existing beneficiary data was successfully tested on 26 February 2018. Due to the procurement process having a late start and the integration and testing that still has to happen, the system is not ready for use on 1 April 2018. However the Special Disbursement Accounts to be hosted in the Postbank’s core banking platform (Flexcube) and all data and transaction history of SDA opened on Flexcube will be transferred seamlessly to the new IGPS at no cost to either SASSA or beneficiaries. SAPO will receive its first batch of cards on 16 March 2018 but upon receipt the card has to undergo testing (PASA and VISA) certification expected to happen on 19 and 30 March respectively before card roll-out from 3 April 2018. In the event the cards are not certified the existing Postbank Mzansi accounts and cards will be issued instead. On 22 March 2018 a ‘dry run’ using 300 untested cards at four identified SASSA offices will take place and from 3 April 2018 either the new SASSA / SAPO card or the Mzansi card will be issued to new beneficiaries at SASSA offices. Due to the procurement process that started late and the integration and testing that still has to happen, the system will not be ready for use on 1 April 2018 but the SASSA Identity Access Management (IAM) software will be used by SAPO or alternatively the Flexcube system will be used. - SASSA effecting payment into third party bank accounts and paying directly into accounts held at Grindrod Bank and CPS to support. - CPS to assist with cash payment which is subject to approval from court; provide individual beneficiary data payment analysis to SASSA to be used for pay points’ configuration; and provide support for the direct transfer to the SASSA/Grindrod accounts. To ensure both SASSA and SAPO are ready for 1 April 2018, the technology and human resources will be tested and ‘go live’ in March 2018. Four offices have been identified for ‘going live’ on 22 March 2018 and for launching the new SASSA/SAPO card but only the 300 beneficiaries who choose to be paid through the National Payment System (ATMs and merchants) will be issued the SASSA/SAPO card as part of ‘testing’. The four offices are Manguze – KwaZulu Natal, Mount Fletcher – Eastern Cape, Tonga – Mpumalanga, Worcester – Western Cape. Portfolio Committee members were asked to visit the offices to launch the Government EMV Card. - Reactivation of the PMG account with SARB. - Direct transfers into third party bank accounts. - Management of Regulation 26A direct deductions. - Test of direct transfers into SASSA/Grindrod cards. - Analysis of pay points to "projectise" the progressive reduction. - Cash payments to follow open tender process. - Direct deposits into the current SASSA card for all. - Identification of post offices to provide over the counter payments (within 5 kilometres of pay points). - Identification of banking infrastructure which can be used by cash beneficiaries. - Request banks to provide mobile infrastructure in under- or un-serviced areas. - Provision of transport to bus residual numbers of beneficiaries to nearest infrastructure to access cash. - Costs to beneficiaries who are forced to transact in National Payment System. - Costs and logistics for transport. - Resistance by community to summary closure of pay points. - Disruption of payments as a result of changes – especially given short time frame. - Need for additional resources – support PIN set and reset for those who have not used PIN before. The Committee was invited to deliberate on the systems and processes that are not yet ready but due to be concluded in the phase-in phase-out period as well as those matters that pose a risk to the project. The Chairperson said that she was pleased with the inclusion of CFIs because the Portfolio Committee on Small Business Development believes strongly that this should be the case. Ms S Tsoleli (ANC) said at the last meeting she asked if SASSA would inform them where they would do cash payments so the Committee could know where to do their oversight. She asked if exact names of places where cash payments will occur could be given. It is assumed that the elderly, disabled and child grant beneficiaries will need transport and she asked if they are planning to transport these vulnerable groups. What would be the mode of transport as well as the costs involved and was this money budgeted for. From which line item will the money come because it was not approved for this financial year? She asked that they give a breakdown of the number of people that will be transported and the areas that will be most affected. She raised concern about the difficulty of transporting those in rural areas. If the Department does not have answers now, more detail can be given later. Ms Tsoleli asked if the ATMs have to be transported, would it mean that SASSA will have to provide security and what kind of security would they provide. Will the security be outside of the formal security cluster? Information about security in terms of cost and budget as well as costs for specific regions was requested. She commented on the refusal of Treasury to grant the opening of a holding account that SAPO has been struggling to get a licence for a long time. She requested that the Chairperson raise the matter with the relevant Committee Chairpersons as this has been a long, drawn out matter and SAPO needs to be capacitated. She asked if Treasury’s decision not to grant the opening of the holding and cash disbursement accounts, meant the SAPO cost model had to change and if this would affect the budget allocation. The Chairperson said the matter Ms Tsoleli raised about Treasury should be discussed with a clear mind. It is not impacting the transition as the contingency plan is there. SAPO should do what is required so they can get compliance and avoid loopholes. SAPO should go all out to ensure the necessary requirements are met so that in future what is practiced does meet the requirements. She assured Members that she had enquired about the letter from Treasury and she was told, “Relax, it is not now, this contingency plan is what we have agreed to but in future this is what must be done”. Ms B Abrahams (ANC) said it was good to hear that SASSA and SAPO had joined and hopes they are working together to ensure that beneficiaries receive their grants on 1 April. On card swapping, she asked how secure the method of suitcases was in avoiding corruption and fraud. How has SAPO and SASSA been communicating to the community? She has heard of cases where people are misinformed. She asked that this process be streamlined to prevent people from being misinformed and inconvenienced. Are any risks involved with the Cooperative Banking Development Agency (CBDA)? Will debit orders be allowed on the EasyPay account system? Do all SAPO outlets have ATMs? On PIN setting, she asked if a PIN change will be allowed once PINs were received. Dr Q Madlopha (ANC) said the contradiction had been addressed on page 21. When SASSA presented last week what they presented was not an actual contingency plan but rather responses to concerns raised. It was proposed like a sort of green paper. If the court does not grant a six-month extension for the phase in phase out, a contingency plan will need to be provided. Last week SASSA indicated it was still awaiting the Court’s decision on the CPS extension and the Committee said while it waits, the contingency plan should be finalised so beneficiaries are not inconvenienced. She was concerned about when the contingency plan would be released because when the Committee goes out on constituency work, it needs to be able to tell people on the ground what will happen. She said the misunderstanding in the court and the media needs to be clarified. People need to be informed in advance; therefore the contingency plan is critical. She asked if the Department could assure the Committee that on 1 April no beneficiaries will inconvenienced and not receive their grant. Capacitating state institutions had been an ongoing issue and the Committee wanted to empower government institutions, therefore SASSA and SAPO were given the responsibilities but it appears that commercial banks will be benefiting more. This is due to contracting out instead of SASSA and SAPO doing it internally. This behavior was not capacitating state institutions and would be costly for the state and beneficiaries who would have to pay bank charges. Grants are not a salary but a form of government poverty alleviation yet 30% deductions occur and that money does not go towards alleviating poverty. This needs to be addressed. The Chairperson said the Committee had invited the regions to give detailed responses. SASSA had provided detailed information on the different regions and their readiness and on court proceedings. These information packs would be forwarded to Members. She assured Members that the information would reach them and at the next meeting they would be allowed to asked questions about the information. Ms Masango asked what the implications for other banks and SAPO would be if the service costs Ubank offered was the most favourable to SASSA. She said beneficiaries can use banks but asked where does it state that CFIs can be used. She asked if there were preconditions and terms on what was meant by a CFI in the relevant Act. Ms Masango noted that Ms Dunkerley had said that “a little bit of progress” has been made on the contingency plan but this was inadequate because 1 April was not far away and concrete information was needed. The presentation listed three delays experienced after the six-month extension was requested. Are these delays still accommodated within the requested six month extension and would it lead to a request for another extension later down the line? She asked if it was appropriate that seven out of nine regional executives were in acting positions during this critical time where SASSA was doing this transition. She asked about the cost of having staff in acting positions and for how long this has been happening. The Chairperson agreed with Ms Masango’s concern about acting staff. She said the Committee was promised that by April past that the acting staff would have gone. The regional executives would inform them about when last they had a fully employed executive. On Treasury being reluctant or taking time to do things, the Chairperson said Members should remember licensing has always been part of the discussion when dealing with how SAPO could do the work as well technical matters. In response to Ms Madlopha, she said it must be investigated if the SASSA Act is still being preserved because, according to the Act, SASSA must pay beneficiaries. There is a strong need for SAPO not to be another CPS that has a monopoly. At the end we want an efficient SASSA that will pay beneficiaries with dignity. SASSA was established for the poor that are not bankable therefore the Committee has to be concerned about the commercialization of the grant distribution. As Chairperson she was highlighting this so that in future it will be relooked at and ensured that SASSA did not disappear in the process and become a conduit to take government funds to banks. Ms Dunkerley asked for indulgence about questions on the contingency plan as SASSA was waiting for the IMC and Cabinet outcomes before they could answer. They would provide a written report to the Committee once the information was finalised. On card swap security, she said the suitcases are mobile equipment and include a biometric reader which ensures the beneficiary receives the right card. Communication about the card swop has not occurred on a full scale yet as they were waiting for the equipment to be available before a programme is created. She pleaded with Members not to tell constituents to go to SAPO outlets and expect a new card yet as processes must still occur. The new cards are not available yet. This will be launched on 22 March and then would need to be certified by VISA and the Payments Association of South Africa (PASA). Therefore SASSA would inform the Committee when the new cards are ready for roll-out and where they can be collected. She added that those who receive money directly into their bank accounts would use their bank cards and would not need to get a new card. She said SASSA was aware of the inroads the banks were making, however, SASSA was subject to a number of court directives and one is about how SASSA can use banking channels and that it is allowed according to the Social Assistance Act. SASSA is complying with the legislation and ensuring that people exercise informed choices. On implications of the delays, she responded that SASSA was very clear that it would do everything to phase in the new cash payments service provider within the six month period. Additional resources would be put in according to the plan, to ensure the process is concluded by 30 September to avoid further extensions. She assured the Committee that regardless of the delays noted, people will be paid in April but she could not say this would be without some inconvenience or anxieties. Those receiving money in their personal bank accounts will receive their money on 1 April despite it being Easter weekend. The call centre will be open on the 1 and 2 April to assist as well as SASSA staff at bigger merchants and pay points. Mr Tsakeriwa Chauke, SASSA CFO, replied about the impact of the non-approval of the holding account by Treasury. They are looking at the system proposal because the holding account was supposed to really talk to the special disbursement account. SASSA would need to evaluate the investments and how they would carry out the special disbursement. SASSA is still engaging Treasury about the holding account issue because it still is the way to go. They will look into at the investment to determine if there is a need to revise it and to what extent and if that does not change, it means that will they will continue with the current costs. SASSA still has to investigate the migration of beneficiaries to SAPO which will inform some of the costs. However, SASSA does know they need to investigate the impact of the costing for software and licences. By the end of the month SASSA will be able to get back to the Committee on the final costs. On Ubank and its impact on SAPO and other banks, Mr Chauke responded that from engagements with the banks it was concluded that in terms of Regulation 21 beneficiaries have the right to choose where they would like to receive their money but SASSA has to determine a method for the payment. Once there is an agreement with SAPO, any person who does not receive a bank account payment will become a SAPO client as this would be the method. Ubank will come in and say they can meet the specifications and they will play into two levels, 1) the existing product that they have 2) propose a new product but the choice will still be the beneficiary’s. There will be engagement with the Chief Procurement Officer because at that point a procurement space would be entered. Advice will be needed on how fees and subsidies will be paid to the banks. The appointment of a task team has been determined which will explore subsides and if they should be paid and how much it should cost. This would require engagement with various stakeholders such as DSD and Treasury. The Committee would be informed when the task team is finalised. The task team will be a separate project which will run parallel to the transition but that they were planning to phase it in, in 2018/19 once they have met legislative requirements. 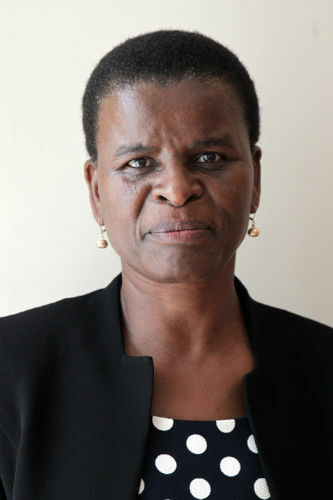 On acting arrangements, he said Ms Zodwa Mvulane is the Regional Executive Manager (REM) for North West but because she was needed due to her expertise to assist at head office she has been seconded for the duration of the transition project as Project Manager. The Chairperson asked when this happened because Ms Mvulane has been Project Manager for a long time. The head of a regional department cannot be seconded to do something else. The Committee does not agree with this behaviour. Ms Tsoleli added that she would like to know the terms of the agreement and the cost of the secondment. The Chairperson said the Committee needs to know about job adverts so they can have oversight. She asked about the cost of salary, accommodation and subsistence and travel allowance (S&T). Mr Chauke asked if the Committee would allow a written response which would detail the cost of accommodation, S&T and family visits. He said Ms Mvulane was seconded two years ago. The Chairperson asked if Ms Mvulane has she been staying in a hotel for this period. Mr Chauke confirmed that Ms Mvulane stayed in a hotel but was now being moved to permanent accommodation in Pretoria. He explained that secondment was usually on a six month basis for which she seconded, but never a long term basis such as two years, so it was difficult to get permanent accommodation. The Chairperson responded that government has policies that guide accommodation and S&T. If Ms Mvulane was supposed to be in this meeting giving a report, she should not be allowed to remain responsible for the regional post as she cannot hold two critical posts at the same time. Ms Masango asked if the cost and duration of acting posts was sporadic or wholesale. The information the CFO has provided creates more questions than answers. Ms Tsoleli said she wanted to come to the rescue of CFO and said a lot questions have been asked. She made a suggestion that the Chairperson gets a full report on the details of contract and the cost of everything. The report should be ready by the next meeting or before so that this can be discussed. This applies to both the Department and SASSA as well because they also have acting and seconded staff. In response to the Chairperson asking if the SASSA Acting CEO, Ms Bhengu, was also a regional executive manager, an official replied yes. 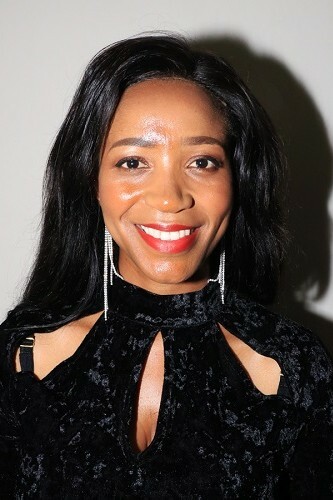 The Chair added that she was now informed that someone was acting in Ms Mvulane’s post. The Chairperson and Ms Abrahams agreed that a full report was needed detailing how many executives/actors there were. Ms Tsoleli said that a detailed report about SASSA executives was required as well so they could clean up SASSA and they would need this information to see who was redundant and who was in acting positions. The Chairperson said a legal expert was especially invited to deal with such issues. How do you make annual performance contracts for acting staff? She asked if Ms Bhengu is staying in a hotel. Ms Abrahams asked how many secondments there were. Mr Chauke committed to providing a report in writing. He could give an indication as to why the arrangement exists. The Minister oversees the appointment of the executives and not officials. The KwaZulu Natal CEO was requested to come to Head Office. In Mpumalanga, the executive exited due to retirement. In the Free State, the executive departed to become the Western Cape executive. All these positions were advertised around early 2017. Northern Cape has been back and forth and the position has been advertised multiple times. The report will outline the details as well as the costs which will be the level 14 to 15 salary difference. Ms H Malgas (ANC) thanked SASSA for the progress report. She asked that the Committee be given the detailed costs of the processes and how the changes would affect the total budget. The changes and additions to the process will have to be costed in the Annual Performance Plan and in the total DSD and SASSA budget to avoid a situation where everything is sent back because it was not budgeted for. The costs of the contingency plan need to be made available. She asked if SASSA knew if all post offices that SAPO would utilise were open and functioning. On page 30, she asked what the sample is for the testing that will be done. The direct transfer to the Grindrod Accounts raised a systemic risk, would this mean that Green Card (EPE) users will not be paid? Does SASSA have a contingency plan when it comes to the Green Card? Ms K Jooste (DA) asked if the total deductions on page 8 were for March as the total was very high which worried her because the majority of grants are child grants which meant these deductions were on child grants. She asked that a meeting be held on deductions from child support grants. Ms T Khanyile (DA) asked if a time frame could be provided for the suitability assessments SAPO would carry out on the 860 post offices within a 5 km radius of SASSA pay-points. She asked when the final contingency plan would be released. Ms Dunkerley replied about the post office outlets, saying that the contingency plan would give the details about where the post offices were confirmed to be open and operational. The 860 branches that would be assessed were online already therefore it was a case where little infrastructure but perhaps additional resources had to be provided. SAPO is on a recruitment and training drive to deal with this. SASSA was concerned about the other post offices and not the 860. This would be unpacked in the contingency plan. She committed to giving the details before the next meeting as SASSA was waiting for guidance from the IMC and Cabinet meeting. On Regulation 26A, she explained that there was a distinction between deductions that occurred in the banking space and Regulation 26A. Regulation 26A deductions which were R68 million, were individually chosen by beneficiaries. These deductions occur before the payment happens and that is why SASSA manages it. Ms Jooste asked if funeral policy deductions could be deducted from child support grants. Ms Dunkerley replied that funeral policy deductions cannot be deducted on child support or temporary grants. The change to disallow any form of deduction from a child support grant came after a court ruling which ruled that the payment was protected from funeral policy deductions. With taking on function, some of the challenges was the total amount was being used to calculate the 10% value but SASSA says this is wrong. The legislation says it cannot exceed 10% of the single grant and that was the cleanup it was doing. Other deductions which are loosely referred to as a deduction happen in the banking space after the payments were made and therefore were not SASSA’s space to regulate. The SAPO and SASSA bank accounts will not allow debits and stop-orders in order to protect the value of the grant. On Grindrod and the Green Card, she responded that the EasyPay Everywhere (EPE) Green Card is a bank product therefore it falls under direct transfers. The card will still work like an ordinary bank card and can be used in the banking space as well as at Grindrod ATM or other banks to access the money. Money would definitely be paid to the Green Card come 1 April. Mr Chauke said that if the six month extension was not granted, the R2.2 billion which would have been paid to CPS would be used to cover costs. The R64 per transaction which would have gone to CPS will be in the budget baseline and it will be utilized to cover costs. In the worst case scenario it would cost R45 per transaction which would be about 1.5 billion of the 2.2 billion and the remainder could be used to do the subsidies. He was not saying the R2.2 billion would be enough to deal with everything but it would be enough to deal with most costs. In Annexure A says the transactional cost for SAPO would be R6.71 and if the banks were subsidized equivalent to SAPO, the cost would still come within budget. They have played around with different scenarios but when the Annual Performance Plan (APP) is presented, more detail will be able to be provided. Ms Masango asked about the disputes update and if they could ask questions about this. Ms Abrahams replied that the document was on their desks but had not been presented and she did not know if the Department could respond. Ms Masango said that time was running out and the regions have not spoken yet. Ms Abrahams said provinces should be given a chance to report on their readiness for 1 April. Ms Dunkerley said it was her understanding with the Chairperson was that the national presentation would happen now and the regions would present after they have received the contingency plan because it would be difficult for the regions to speak other than very generally. She did not want to stop the regions from talking but suggested that because the detail of the contingency plan was not available, it would be quite difficult for the regions to speak and answer questions in detail. Ms Abrahams replied that she would wait for the Chairperson’s input and asked why the regions were present if this was the case. The Chairperson said the regions were here to delve down to specific issues at a regional level and therefore should still have enough information to present without the contingency plan. Ms Tsebeletso Makhetha, Acting Regional Executive Manager (REM), SASSA Northern Cape, said the region was aligning itself with the SAPO national plan which had given details of SAPO outlets. The region began identifying where SAPO outlets, merchants and banks were so they knew where there would be challenges. The most affected area would be Kuruman and the rural surrounding area which has only 10 SAPO outlets, two merchants and 135 pay-points which were all situated in the Kuruman. The biggest area would be the Kimberly area with 50 pay-points, 27 merchants, major banks and 11 SAPO outlets. The region has started the drive for communication at clinics, taxis and with Mikondzos and the Integrated Registration Outreach Programme (ICROP). The REM has presented to the provincial social cluster and the Premier’s integrated forum as well. The Chairperson asked if the region was ready for 1 April. Ms Makhetha replied that they were ready for those who would receive money at banks and that she had those numbers. The biggest challenge was the 69 000 who get cash but this will be addressed by the contingency plan. Ms Sibongile Setlaba, Acting REM, SASSA Free State, said it had been critical for the region to ensure SASSA and SAPO came together as family. Together they had regional meetings where they have identified and aligned the geographic spread and after this they had SASSA/SAPO meetings at the district level. The last engagement was a road show to all local offices. SASSA had looked at the 5 to 10km radius. In Welkom all pay-points are close to post offices except for Hennenman. Hennenman would be an area where beneficiaries would need to be transported but they would be able to get to the area to give out PINs. Another area of risk would be Balkfontein which closest post office was in Bothaville 30km away. That is where risk lies and a special arrangement would need to be made. All pay-points at Thaba Nchu are root pay-points and there are no post offices. A plan has been made that SAPO’s only mobile truck must service this area. The risk discussed was the power supply of the truck but SAPO would make those arrangements. SAPO has security management protocol in place. De Bruyn and QwaQwa are other areas where arrangements need to be made. Ms Matshidiso Mamabolo, Acting REM, SASSA Limpopo, said she was worried about the 549 people that are cash recipients but this number might change as people move to banks. New malls with SAPO outlets were under development in the region and that these malls would offload distances when completed. SASSA was working well with traditional leadership and have had more than five meetings. Traditional leaders would allow SASSA to utilize traditional areas and teams are scheduled to go to these areas. SASSA has been on radio stations communicating with constituents as well as informing the social cluster in the province. She said the region was ready for 1 April. Mr Fanie Sethokga Acting REM, SASSA North West, said the region was following the strategy on readiness given to them. In a nutshell it had requested to meet all district and local personnel to discuss and strategise on the plan from national. Then an infrastructure availability assessment was done, where people could be offloaded. SASSA relooked at the workload assessment which has been done to see which beneficiaries would have challenges and who would have to be prioritised once the contingency plan is finalised. A draft contingency plan has been created and would be realigned with the contingency plan once finalised. Some changes might have implications on the ground in terms of costs or inconvenience for beneficiaries such as not being paid at the specific time or day they expected but they will be paid in the month of April. The Chairperson asked about the financial implications that have not been planned for. Regions should state who falls within the contingency plan so that when the Committee sees the contingency plan they can make a comparison with the numbers they receive. She asked North West to indicate how many beneficiaries would fall under the contingency plan. Mr Sethogka replied it was 230 906. Mr Bandile Maqetuka, REM, SASSA Western Cape said the region has 1.1 million beneficiaries and only 10% collect cash and the rest go to banks, merchants or ATMs. The areas where challenges are anticipated are the West Coast which is a farming area with no banking facilities, Albertinia which falls under Eastern Cape but is closer to Western Cape and Uniondale where there is no infrastructure. There are 262 cash pay-point compared to 178 SAPO outlets. SASSA has done an exercise to match pay points to SAPO outlets and the majority are in a 5km radius. In Khayelitsha, despite the availability of other payment options, beneficiaries have said it is cultural thing to go to a pay-point. Elderly people go to interact with peers and it is a social gathering. SASSA was engaging these communities about banking options available. The only challenge is 10 004 which collect cash. Of this amount, 60% are close to banking and SAPO options. The region was 90% ready. On elderly people preferring pay points, the Chairperson was worried because there was criminality in area but security should be mobilized if that is what people prefer. People should be paid according to their choice. Mr Sibusiso Nhlangothi Acting REM, SASSA KZN said that the region had 3.8 million beneficiaries but they were concerned about the 377 000 who would receive their money from pay points. He said that the mood in the community was a bit of anxiety due to misinformation but SASSA had embarked on a serious communication drive. SASSA was giving people information at churches, taxi ranks and pamphlets. The Joint Standing Committee with SAPO was working hard with them. Of the 337000, they are concerned as 13 000 were over 75 and some would require home visits per request and those beneficiaries more than 5 km radius away will be dealt with in the contingency plan. He said the region was ready for 1 April. Ms Kedibone Mathebula, Acting REM, SASSA Mpumalanga, said that she has been acting for eight days. Mpumalanga has 1.4 million total beneficiaries but the region is concerned about the 156 239 cash grant recipients. Bushbuckridge has been identified as the area which would be the most affected due to its limited infrastructure. The region was following the standardized approach but has developed their own implementation plans but was waiting for resources such as equipment to implement these plans. To promote awareness they planned three imbizos and engaged with local traditional leaders. The beneficiaries will be paid on 1 April. Mr Oscar Mpeta, Acting REM, SASSA Eastern Cape, said that the region was aligned with the national framework. The total beneficiaries are 1.8 million which is 29% of the region. There are 2.7 million grants in total and 397 247 are cash grant recipients. Thus 20% are cash beneficiaries and 80% are electronic. OR Tambo is the biggest area. The region has developed a detailed plan which covers all pay points and beneficiaries according to districts and grant types. The plan has been submitted to the Committee. They have engaged with the trilateral committee with the National Development Agency and DSD in the province, social transformation cluster presentations, meetings with district and provincial structures of SAPO and CPS. There is a joint project team with SAPO which is aligned with national plan and we have cascaded this to the district level. We have engaged beneficiary events with talks and awareness projects such as ICROP, Mikondzos, imbizos and informing staff at local level. Churches and the House of Traditional Leaders have been informed as well and they have committed that in their imbizos they would discuss the SASSA transition. SASSA managers would attend these imbizos. Members of Executive Councils (MECs) have also received presentations at MinMEC. The municipal level has committed to assist with venues. The region is engaging various forms of communication such as print and electronic media. A possible challenge would be the rurality of the area and farms but there will be a pilot run in Mount Fletcher so that learning can occur. A more intensive communication drive still needs to continue so that beneficiaries are informed. The Chairperson spoke in her vernacular language. She added that it is important that they rely on the structure agreement. She also knows the challenges of SASSA in Port Elizabeth. Mr Themba Matlou, REM, SASSA Gauteng, said he has been in the position since 2012. Gauteng has 294 000 who are cash recipients. The areas of concern are Ekurhuleni and Johannesburg because of the high concentration of cash beneficiaries. He assured the Committee that they would not struggle. They were concerned about was the low-cost banking project and high bank service fees. He believes it will be a smooth transition. They had developed a clear communication drive in print and digital media as well as through staff. They are working with SAPO in terms of the national plan and have an integrated communication process and meeting with SAPO on a weekly basis. The Chairperson gave thanks and was pleased that low level communication was occurring and that they were touching the ground. Ms Madlopha said the regional responses were reassuring. She asked that Ms Mahlobogoana should be invited to assist the Committee on legal issues when the acting and secondment of officials are discussed. The Chairperson agreed and said that the Committee was not doing as much holistic work as it should be doing. Constantly dealing with SASSA has stolen time from other important matters. Other areas of welfare had to be neglected which was not beneficial to the mandate of Social Development and needy citizens. It was a shame that the Eastern Cape had such high numbers of grant beneficiaries when it had a smaller population compared to other regions. There would be more engagement because transformation needed to be promoted as there must be a movement from welfare to a development state. She asked why the information the Committee received on the contingency plan was different to what Senior Counsel presented in Court. The Committee was owed an explanation. There should be a meeting with Senior Counsel. She asked Ms Mahlobogoana to explain why Senior Counsel said SASSA did not have a contingency plan in court. Ms Mahlobogoana said she agreed that there were discrepancies with what was said at Court and on the 6 and 8 March at the media conference. Counsel stated that there was no contingency plan. The media statement did not directly mention the contingency plan. The contingency plan came from a question from the floor and the response provided failed to add that it was a work in progress. Counsel should have been informed that the contingency plan was a work in progress but this did not happen. The fact of matter was that there was no contingency plan and it was only being worked on now. She asked that the Committee provide questions for the legal unit in writing so that they could prepare beforehand. Ms Malgas asked if SASSA sat with Counsel and gave them briefings. She said the question can be answered next time. The Chairperson added that the question must then be put in written form according to procedure.